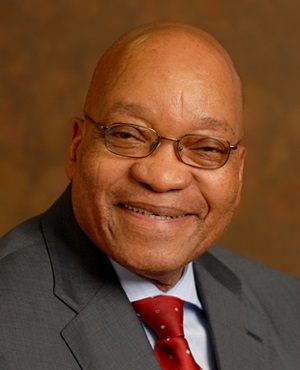 Pretoria - Police Minister Nkosinathi Nhleko has determined that President Jacob Zuma is not liable to pay a portion of the security upgrades to his Nkandla homestead. Delivering his Report on Nkandla on Thursday, Minister Nhleko said the firepool, the new cattle kraal, chicken coop and culvert, as well as the amphitheatre and visitors centre were all found to be necessary for the safety and security of the homestead. According to the Minister’s report, all of these are "security features which are in accordance with the physical security requirements and/or interest”. He said his report deals directly with the question of whether the President is liable for any costs pertaining to the so-called non-security features as found by Public Protector Thuli Madonsela. “This report that we are presenting here today seeks to unpack the security needs as they appear in various reports and focusses on the questioned features that is whether the kraal with culvert chicken run, fire pool, amphitheatre and the visitors centre as identified by the public protector are security features," said the Minister. He said the firepool is a strategic asset useful in firefighting and therefore is a security feature. The animal enclosure keeps livestock away from the security features and thus enhances security imperatives and is a security feature. The ''amphitheatre'' has a clear security purpose and is thus a security feature. The visitors centre has to cater for the President's guests and meetings. Privacy and confidentiality is necessary during such meetings, thus the centre is a security feature. “Accordingly, the State President is therefore not liable to pay for any of these features,” Minister Nhleko said. He said the report found that outstanding security work should be funded and completed soon. “Outstanding security and security related work at Nkandla should be funded and completed expeditiously. There was a time when I believed the liberators and the liberation movements of our Motherland Afrika, either I was naive or suffered from blind-faith syndrome. Having just read this dribble by the Police Minister and following up story after story about the Buffallo City Metro Municipality and how the Mayor, and Speaker of this Municipality are facing charges of fraud relating to the misappropriation of monies meant for the memorials and funeral of former President Mandela's funeral are also putting a spin and trying to suspend the municipal manager who apparently blew the whistle. The Exutive Mayor is Clr. Zukiswa Ncitha, who is also not from the Buffalo City area (so I have been told), but from the Nelson Mandela Bay Metro side. How was she parachuted to Buffalo City baffles me the same way "a swimming pool becomes a fire pool" , and her side-kick is Speaker Ms Luleka Simon-Ndzele. We have a long eay to go !! Very true Mthe. The problem with these movements is that they are started with the right motive but as they go along and take over power, they become very greedy. And then comes the issue of side kicks. It was also reported on Zuma and Elen Tshabalala. These things are very embarrassing indeed. But this also goes to prove that we cannot expect any movement to free us. We are our own liberators.